Are you a traveling cat lover and wish you can take your cat with you? I sure do (I have two kitties, 7-year-old Kabs and Jumper, both females). However, most cats are homebodies and don’t take to moving around well. They love following a routine, and they love the safety of their own home. Even trips to the vet stress them so much, I can’t imagine getting them on a plane, or spending several hours in a bus only to arrive at an unfamiliar place. My kitties Kabs (L) and Jumper. Of course, some cats are used to traveling — you can train them when they’re young, so that travel won’t stress them as much. 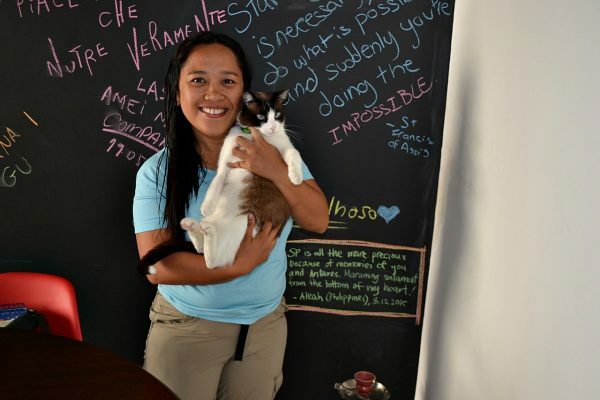 Just ask Suki the traveling kitty or Simon the backpacking cat. For most of us cat lovers, though, we’d have to make do with leaving our cats with friends or relatives (or in my case, a long-term house sitter) and getting our cat fix from the many cats we meet on the road. How do you make sure you get to see, pet, and cuddle cats when you’re traveling? Here are some of the ways I’d done it. 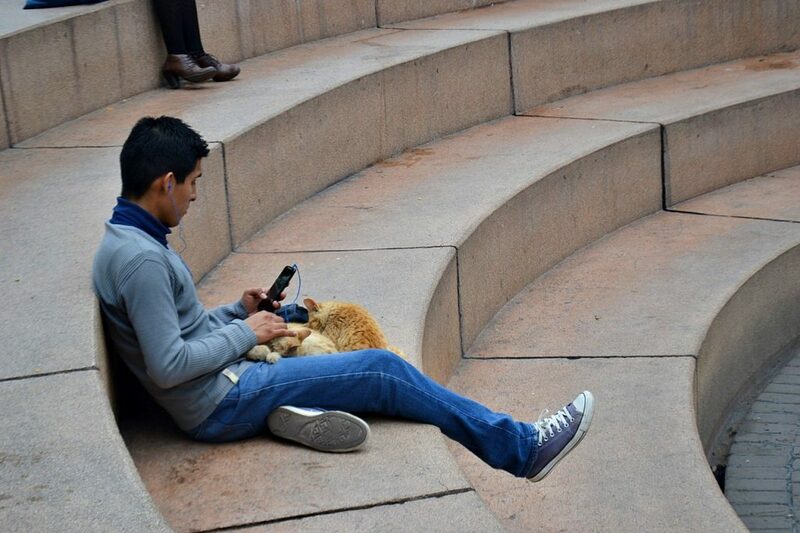 Hang out and enjoy the kitties in Kennedy Park (Lima, Peru). 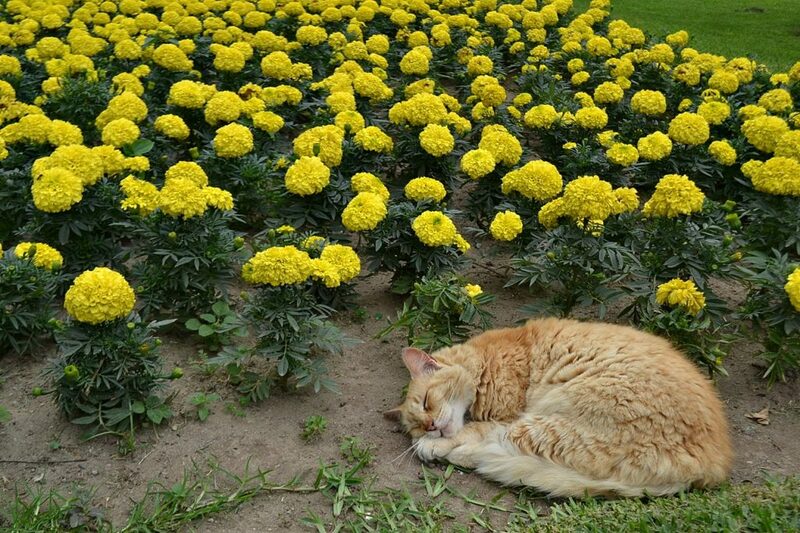 Everyone has heard of Istanbul (Turkey), of course, and of how cats own the streets. The cats live wild, but they are being fed by the residents well. 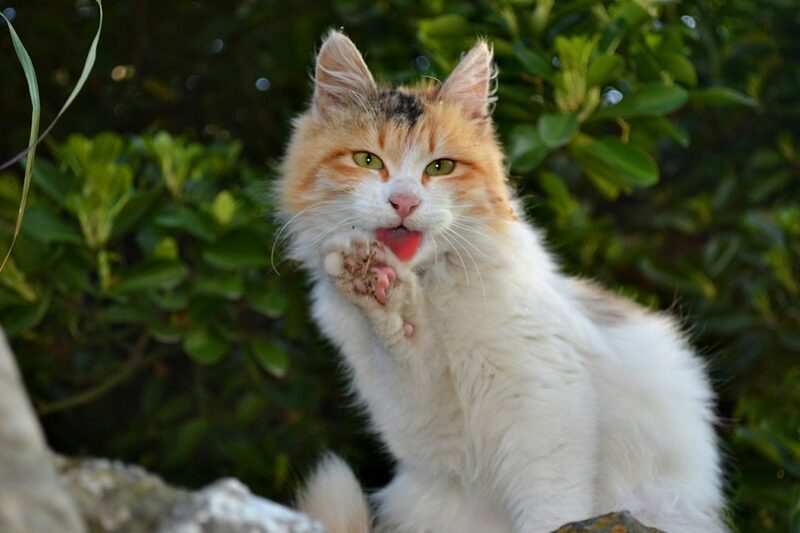 The Chill Cat, Tombili, whom you must have seen in memes, was from there. I haven’t been to Istanbul yet, but it’s definitely a must-visit for any cat lover. Aside from Istanbul, Athens (Greece) is also great for finding street cats. On the winding road going to the Acropolis, for example, you will find a lot of strays, and they don’t lack for food. Twice a day, people feed them. Unfortunately, most are wary and run away if you try to pet them. Friendly stray cat in Athens (Greece). In Lima (Peru), I made sure to stay at a hostel close to Parque Kennedy (Kennedy Park), which dozens of cats call home. They’re sitting on the stone steps, on benches, on the grass and by the tree roots. They get fed regularly, and there are workers assigned to keep the place clean. They will let you pet them, too. My number one bucketlist as a cat lover? Tashirojima (a.k.a., Cat Island) in Japan! This is easily the best way to quench your thirst for feline companionship when you’re traveling. You get to take care of cats + free accommodation = win-win. This is also win-win for the host, since they don’t have to pay you, they don’t have to take their cats out of their home, and they’re sure that the kitties are being taken care of by someone who loves cats. Here’s where you can find these opportunities. My apartment in Tel Aviv (Israel) came with Suki. One of the first things that I do when I arrive in a new city is join a Facebook group (or two). There’s Desperately Seeking Bangkok, for example, and Secret Tel Aviv. It’s not just for cat lovers, too. Even if you’re not looking for a cat sit, it would still be a good way to join these groups to know what’s happening in the area. Last year, I stayed two weeks in Bangkok (my nth time in the city) and found in the FB group someone who wanted a cat sitter for 1 week for her 3 cats, one of which required medication. 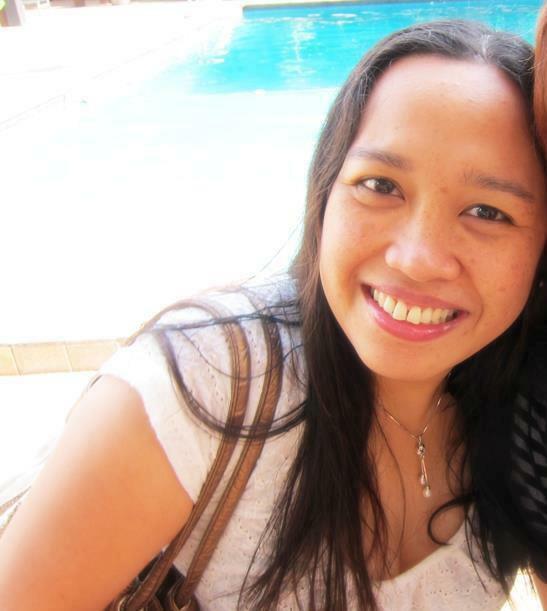 I grabbed the chance, and the host, who was going on her visa run, was very grateful (and even gave me spending money!). She would have paid a lot to get someone to take care of her pets, given that one of them needed special attention. In Tel Aviv, I saw in the STA group that a fellow traveling cat lover was going to Europe and looking to sublet her apartment. It is cheaper than market rate, she said, because she has a cat. Of course, I grabbed it and had the best time of my life cuddling Suki, a big fat, white cat. I can’t say much about this as I’m not a member of any of those sites (Trusted Housesitters, House Sit Match, House Carers, etc) but it’s a good match if you’re a traveling cat lover and you have a good passport. Most of the house sitting gigs I saw were concentrated in Europe and North America, which are not so accessible to me with a Philippine passport. There were listings for South America and Asia, of course, but not as many, which makes the annual fee a waste of money (up to almost $100 a year!). 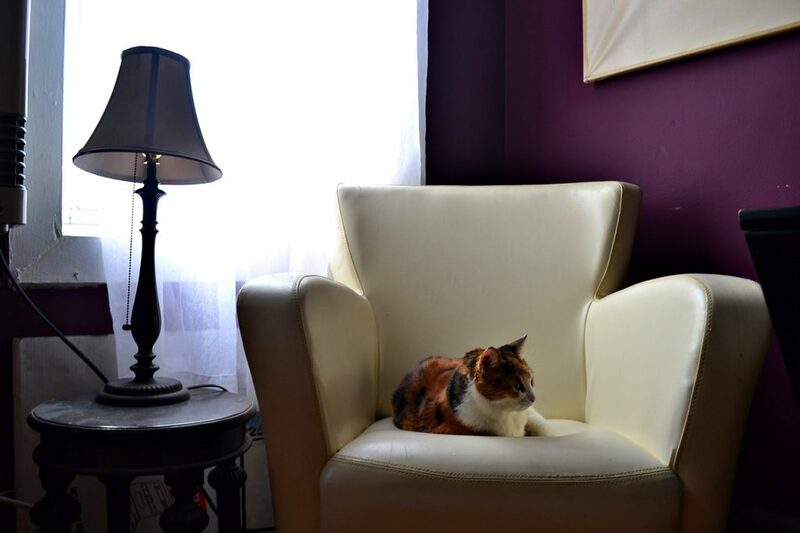 Cat sitting pretty Monet (and Spunky) in Brooklyn (NYC, United States). 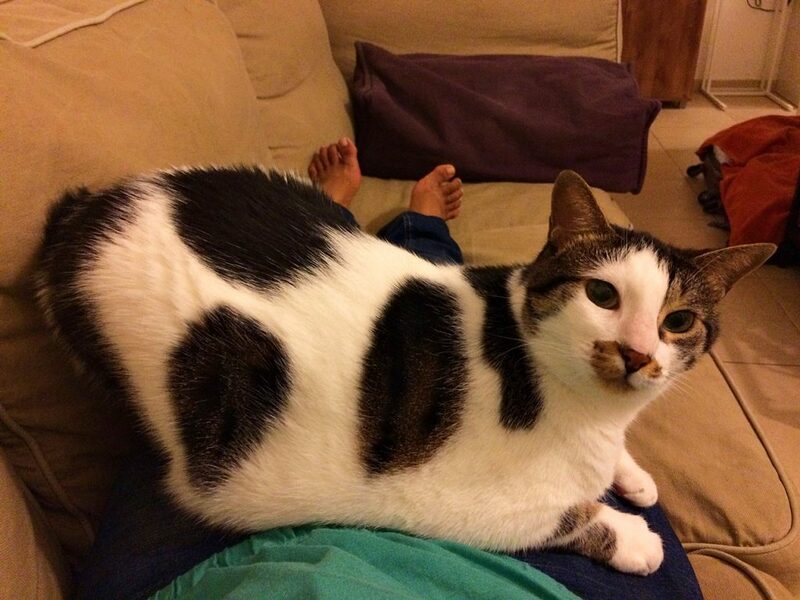 I’ve been a member of Couchsurfing since 2009, and I’m always on the lookout for people who need cat sitters. There are groups for cat sitters — “House/Pet sitting whatever wherever etc etc” and “House/Pet sitting WANTED” are the two I joined — but opportunities are a bit far few and between. I did find one though. J, a cat owner from Brooklyn, wanted to go out of town for 10 days and had no one to look after Spunky and Monet. I was already in Dover, Delaware at that time, but I willingly went back to New York. Cats + free accommodation in New York = win-win again! Photo shows, from left to right: (1) Juno, my roommate in Kolkata, India. (2) My host and Cincinna in Florence, Italy. (3) Antares and me in Sao Paulo, Brazil. (4) Fred in Rio de Janeiro, Brazil. 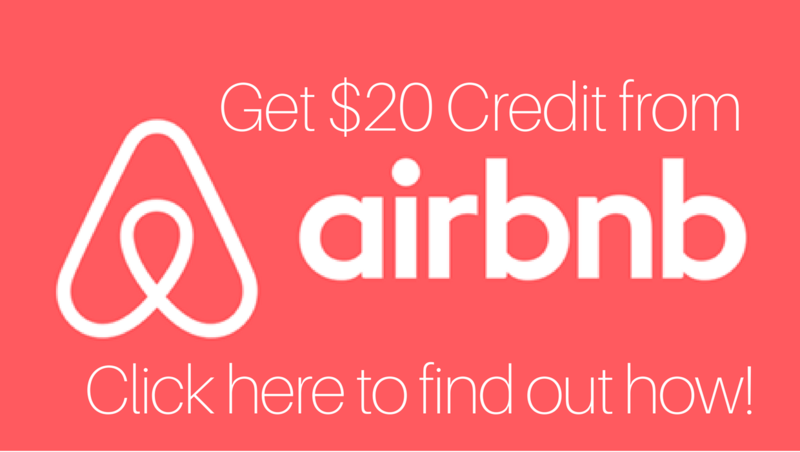 I used Couchsurfing a lot to find accommodation with locals in every city I visit. Back when I joined, when there were only a few hundred thousand members, it was easier to find like-minded hosts, hosts and guests who understood that Couchsurfing was meant for cultural exchange and not hooking up or just a free place to stay. That said, whenever I looked for a host, I made sure to filter my search to include “cats” in the description. 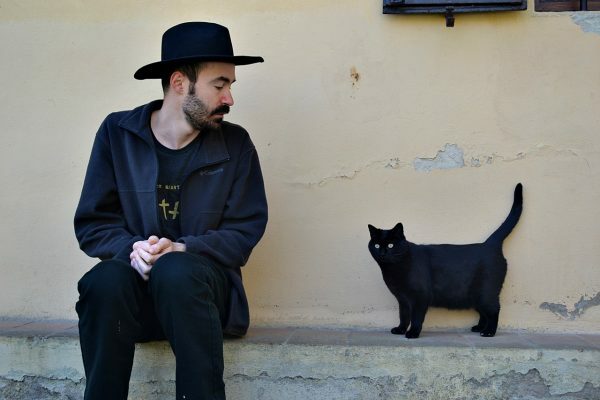 This is how I found my host in a 15th-century house in Florence, and why every host I had in Brazil had a cat or two. The guesthouse’s 2-month-old kitty in Mestia (Republic of Georgia). 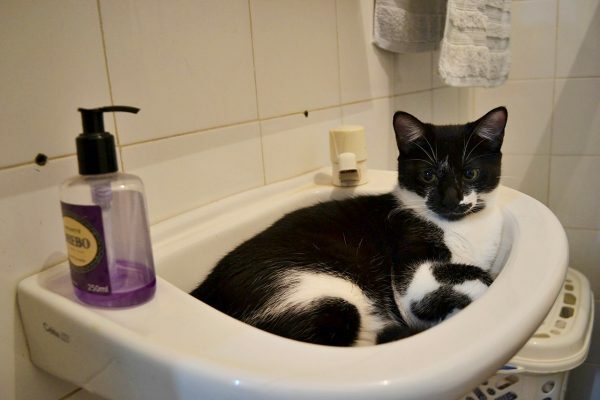 If you don’t want to use Couchsurfing, why not look for a hostel or guesthouse with cats? 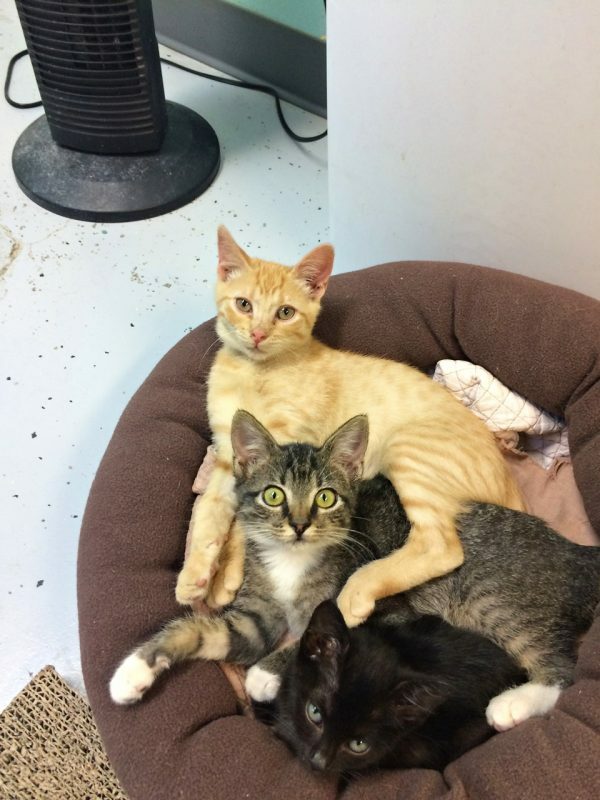 Usually I filter for location (closest to center) or price, but when I’m in dire need of kitty cuddles, I also look for reviews that say they have a cat or two. Just recently, I stayed in a small guesthouse in Mestia, Georgia (the country). It’s not close to the center, the guesthouse is on a hill (with cobblestone streets, it’s not good for those with rolling luggage! ), but they have a fantastic view of the town and they have a 2-month-old kitty. I couldn’t book it fast enough! 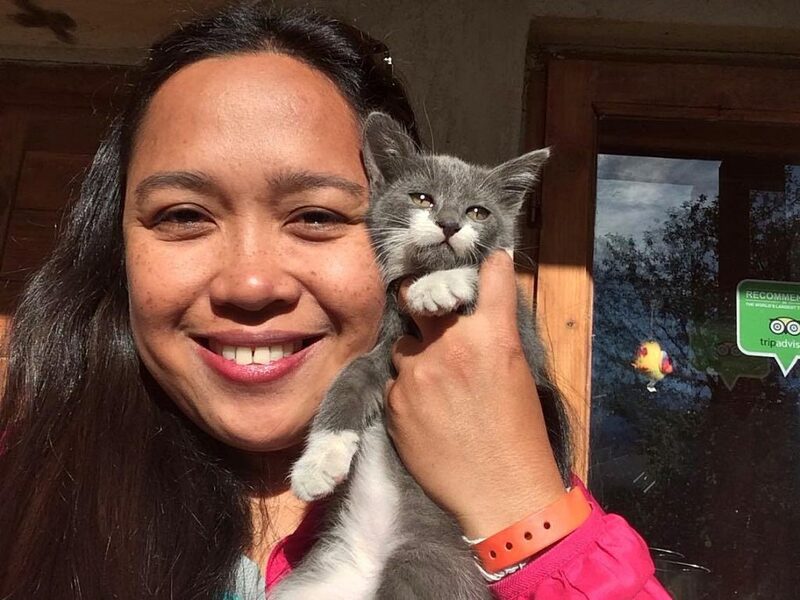 Here in New Orleans (USA), most of the people I know have dogs, not cats, so whenever a traveling cat lover like me needed to spend time with kitties, I would go volunteer to clean out the cat litter at Zeus’ Place, a rescue place near where I’m staying. In exchange for scooping out soiled litter, I would spend hours just playing, cuddling, and kissing cats and kittens of all ages. And the best thing about this? You get your cat fix and get to help out a good cause, too. Cutie at the Velvet Friends Cat Cafe in Manila (Philippines). This is the last option I would choose; I can usually find enough cats to pet without paying for the opportunity. I also don’t feel comfortable with the idea of cats being put on display for virtually anyone to manhandle. However, I do recognize that some cities aren’t so friendly to a traveling cat lover. 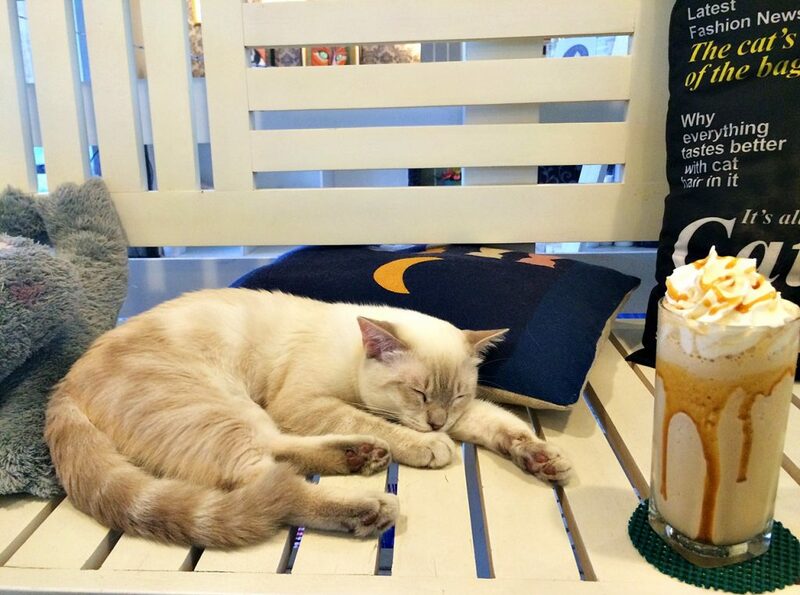 In such a case, cat cafes provide the best option. I’ve gone to only one in Manila, just to find out what it’s like. They do limit the number of people visiting per hour, which is very good for cats, and some cat cafes also don’t allow you to pick the cats up (which is a shame, but very understandable). Traveling as a cat lover need not be a challenge. Just know where to find feline friends and you should be able to get your daily cat fix any time you want! Are you a traveling cat lover? How do you find cats to pet and cuddle with when you’re traveling? Do share! Hiya Aleah! Awesome idea to check the reviews to see if they have a cat!!! I never thought to do that! 🙂 We love a kitty cuddle when we are traveling! I would definitely look into catsitting opportunities. That may be a good inexpensive way to visit a city for a week or so. Thanks for the tip. This is such an awesome read! I actually am planning to travel more and instead of leaving my baby boy Sven the Sphynx at home or with a friend, I am planning to take him with me in an RV. I did a test trip and he finally warmed up to it the third day. I am also planning on taking him on his first airplane ride next Friday. You have great ideas and tips, thanks so much for sharing. I’m not sure where you are in the US right now, I’m in Orange County California and you are more than welcome to come give my little baby some love! This is fabulous! I’ve been trying to help my animal loving friend plan some trips around her passion and I could think of no better guide to forward her than this one! I especially love the suggestion of volunteering at an animal shelter. I mean, who wouldn’t love to snuggle with cats by day and then head on out to the French Quarter by nightfall? Great great post! This is the wonderful post for cat lovers. Your post has listed some of the great options to pet, see and cuddle cats, while traveling. 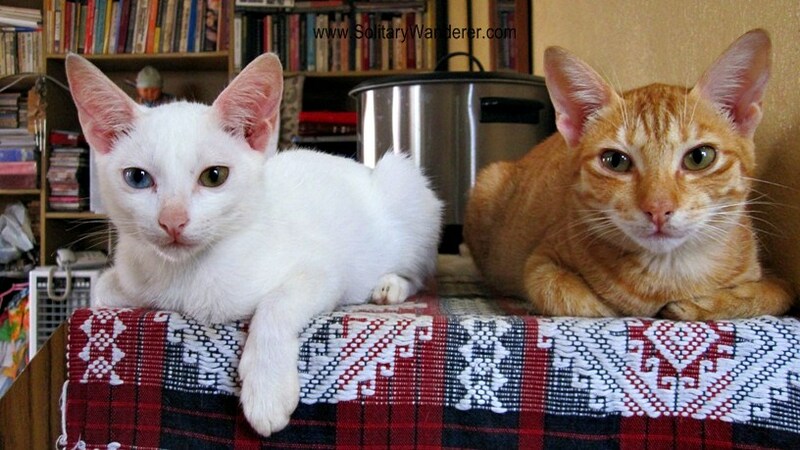 Visiting cat-friendly cities, Joining local facebook groups, Couchsurfing and looking for people requiring cat sitting can surely be the fantastic options. I like the cat cafe’s that focus on getting the cats adopted out. It is nice to see people meeting the cats and maybe finding their catmate. I would totally adopt a street cat if I lived somewhere where they need to be fed. I would love to visit a cat cafe. And of course, I will be keeping an eye out for these felines when I head to Turkey for sure. 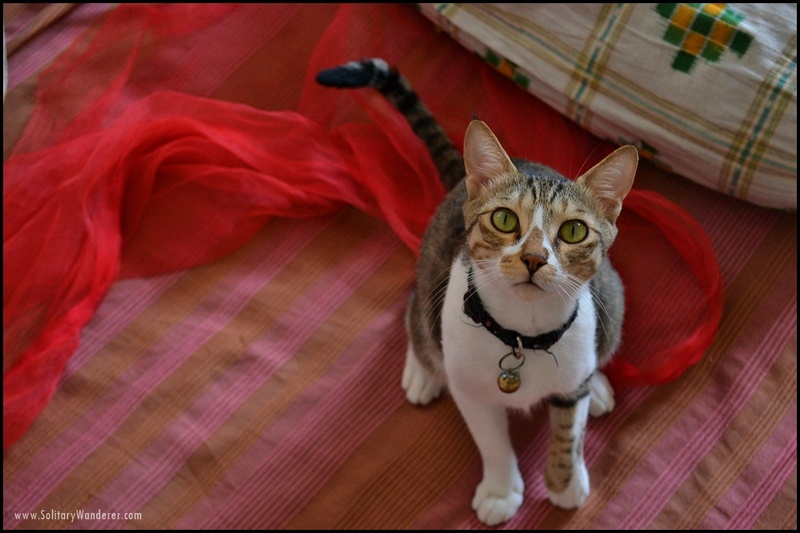 Loved this post for the novel occupations that you have around the felines. These are great tips for cat-lovers. The streets in Southeast Asia are filled with kitties. My brother-in-law is a cat lover, so we’re constantly taking photos of them to send back home. 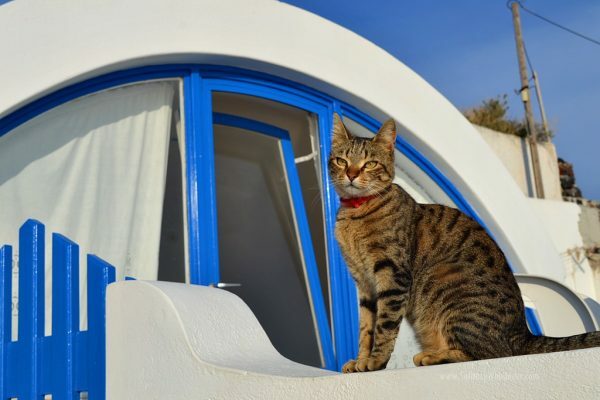 This is a really interesting guide and one that many cat-loving-travelers will truly enjoy reading! 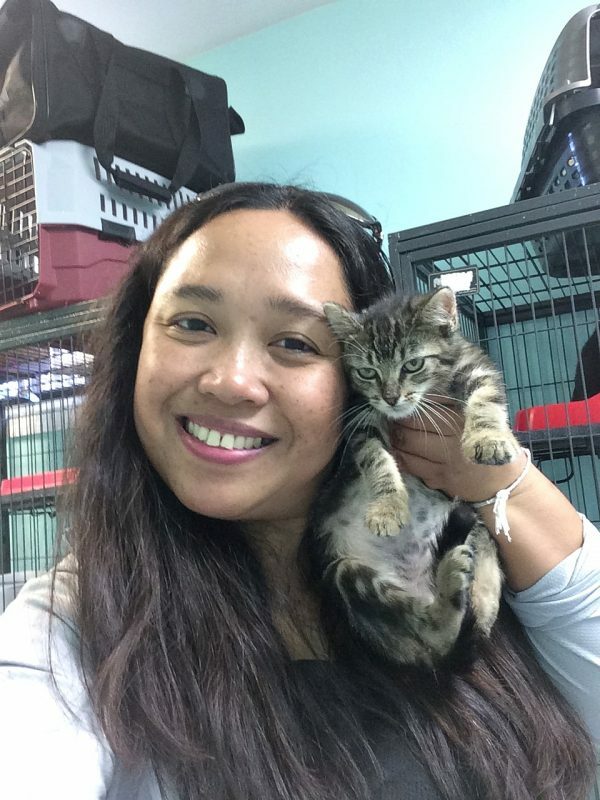 I do know that some cat cafes (at least so I’ve heard – I have a cat allergy so I haven’t been personally) are made specifically for people wanting to adopt cats to get hands-on time with adoptable kitties. Which is cool if that’s the case! We have a rescue pup so we love rescue opportunities. First of all, let me just say the fact you wrote a cat-lovers guide is pretty freaking awesome! I looooooovvvveee cats and don’t think there is ever enough cat content. So props to you! It’s so cool how you’ve been creative and have really shown the plethora of ways one can be involved with cats while on the road! And a cat café is at the top of my list! So interesting! Never thought about cat lovers who are travelers too. I love cats only to photograph them, nothing more. Greece had so many of them. Haha this is such a fun angle! Greece has soooo many cats! And I just watched a doc re: cats in Istanbul called Kedi — you may like it! Loved this post! I’m always missing my kitty when I travel. She’s sleep with me every night, so when I’m away I sometimes find it hard to sleep without her! However, I never thought about adjusting my itinerary specifically to get a fix for my cat addiction. My boyfriend is gonna kill me (he’s more of a dog person), but I totally might do that from now on! I follow 2 Instagram that are about cat adventurers! There’s more cities to add to the list! Rome is a FABULOUS place to meet cats. So much they own the city that they have a cat colony in Largo di Torre Argentina, literally INSIDE an archaeological site. There’s even “cats of Rome” calendars! One of these days, I’ll come up with a post on cat-friendly cities haha I didn’t get to see a lot of cats in Rome though, probably because it was winter when I was there!